Please consider leaving a legacy gift to help improve the lives of young people in Victoria who are experiencing disadvantage. 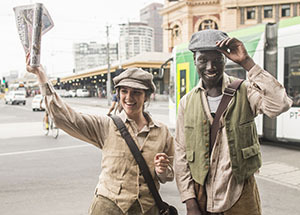 By making a bequest to the Newsboys Foundation in your Will, you can help support approximately 35 organisations per year that are making a meaningful difference in the lives of Victoria’s youth. Your bequest will help support a wide range of projects and programs including academic pursuits, arts and cultural activities, sport and outdoor education and vocational/life skills. By supporting young people in each of these areas, you will help them to reconnect with their community in a positive way, re-engage them in education and re-ignite their passion for learning. Leaving a bequest to Newsboys Foundation truly makes a difference. Please click here to see a few examples of the types of projects and programs your bequest can help support! Thank you for leaving a lasting legacy and supporting young people in Victoria!